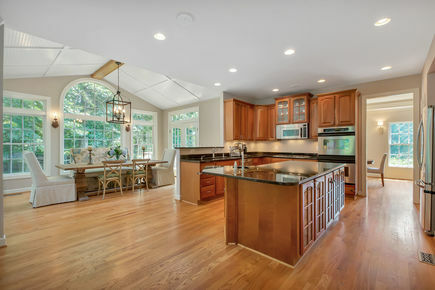 Bella Casa Partners presents this 4 bedroom, 4.5 bathroom brick-front Colonial home that offers a rare combination of luxury living in a private, tranquil retreat, yet with 5 minute access to I-66/Fairfax County Parkway & shopping needs (Wegmans, Whole Foods, Costco, Lowes, and Home Depot). 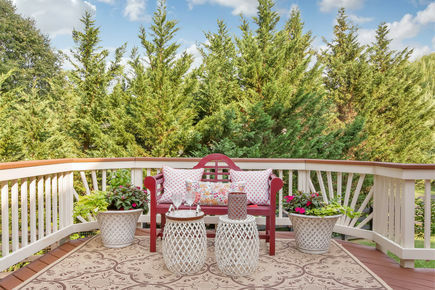 The one acre lot offers both green space & mature trees for play and privacy. 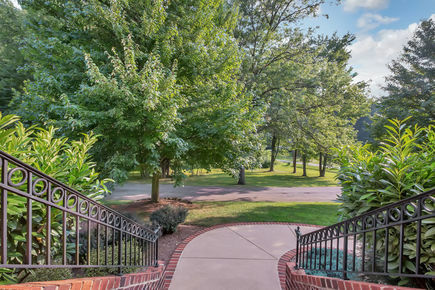 The lot includes the land across the road from the house, so privacy is ensured. 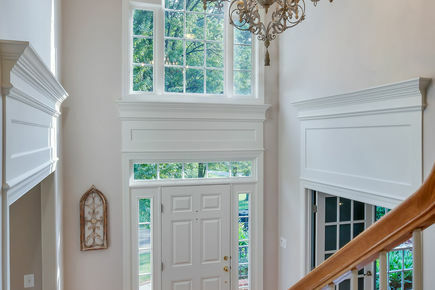 The two-story entry with a Palladian window, custom millwork, and a designer-chosen candelabra provides a dramatic impression each time you walk into the house. The office adjacent to the entry adds to the visual impact with the French doors and custom built-in shelving. 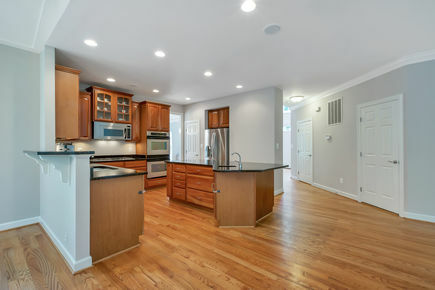 The open kitchen has granite counters, cherry cabinets, stainless steel appliances, and a large island with a prep sink. 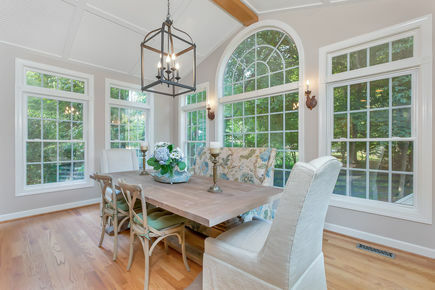 The Sunroom next to the kitchen has a vaulted, beadboard ceiling, three walls of windows, & a showpiece open lantern fixture to bring a bit of Provence into the home. 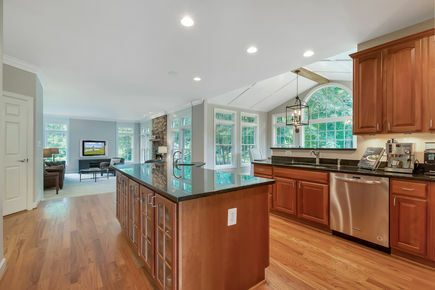 The Family Room adjacent to the kitchen and Sunroom has a stone accent gas fireplace and hearth, with custom millwork above the four windows, which bring natural light into this space. 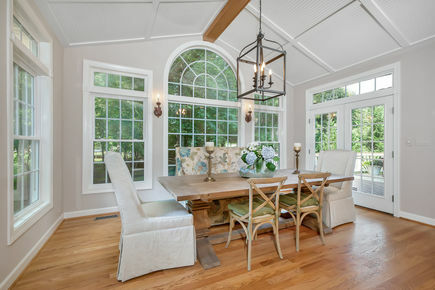 The Dining Room and Living Room wing of the house has more custom millwork, a tray ceiling with cove lighting, and nine windows to flood these rooms with natural light. The large Master Suite has crown molding, a tray ceiling with cove lighting, a separate sitting room with French doors and hardwood floors, and a large walk-in closet with a custom storage system. The Master Bathroom has been fully renovated with a new granite top on a cherry finish vanity, rectangular sinks, Moen fixtures, an 18x18 tiled floor, soaking tub, and a large shower enclosure with a frameless glass door. The lower level provides a large area for entertaining or play, with a granite-topped, L-shaped wet bar providing another entertainment option. The fourth full bathroom is locted on the lower level. The laundry located on the lower level has counter workspace with upper and lower cabinets for storage and a foam tile floor for comfort. The unfinished part of the basement is separated from the lower level finsihed space by double doors. 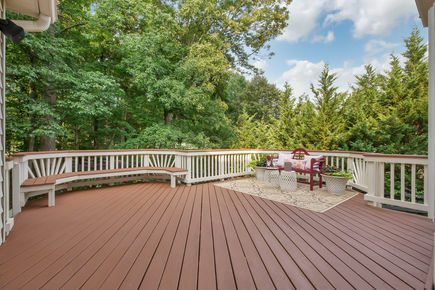 This space provides a large area for storage, play, or activity and a French door walkout for ease of access. All light fixtures in the house have been upgraded. 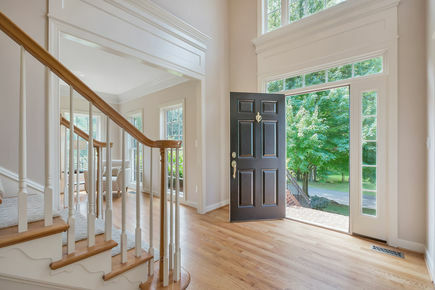 All door hardware has been upgraded to brushed nickel, with handles, instead of knobs, for a more elegant look and feel.